A Creative Way to Get Your Greens! Prepping for the competition has me eating a lot of green vegetables. Even if you’re not prepping for a show, eating at least 3 or 4 servings of green vegetables will keep you lean and regular, and you will also have more energy. Spinach is known as a super-food because of its many benefits. 1. 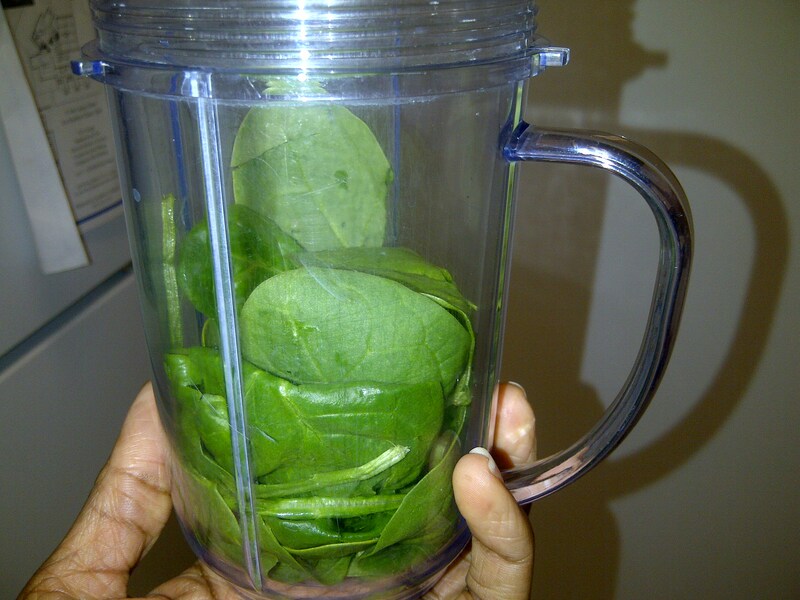 Place two cups of baby spinach in your blender. (I use a Magic Bullet). You can purchase a blender at Wal-Mart or the dollar store. 2. Add 1 cup of unsweetened almond milk. 3. 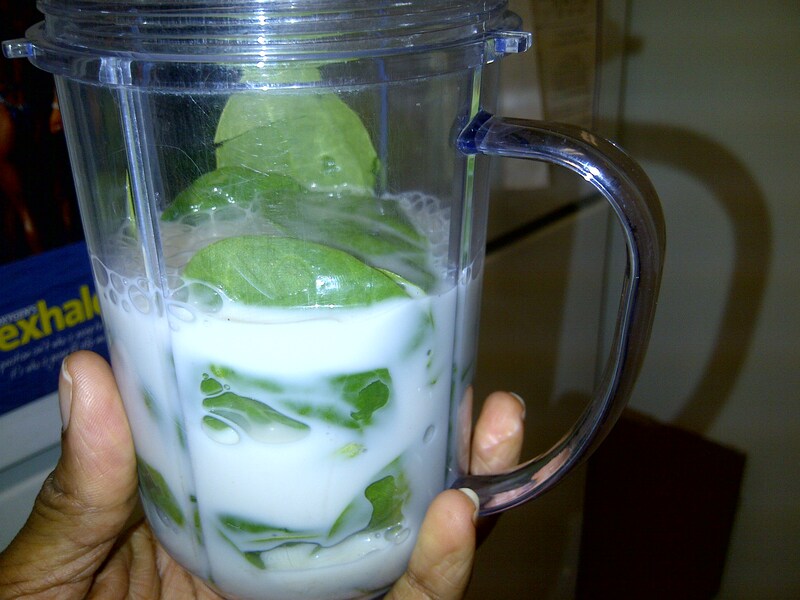 Blend the milk and spinach together. 4. Add 1 cup of frozen berries. I used a triple berry blend that I purchased at Sam’s Club. You can buy a big bag there for $8.00. This will last you for 2 or 3 weeks depending on how often you use it. 5. 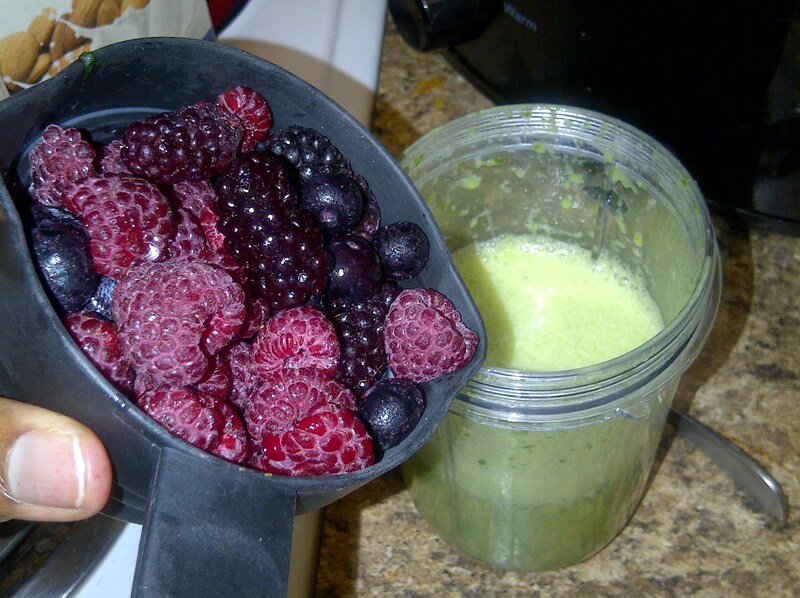 Blend the berries with the mix. 6. 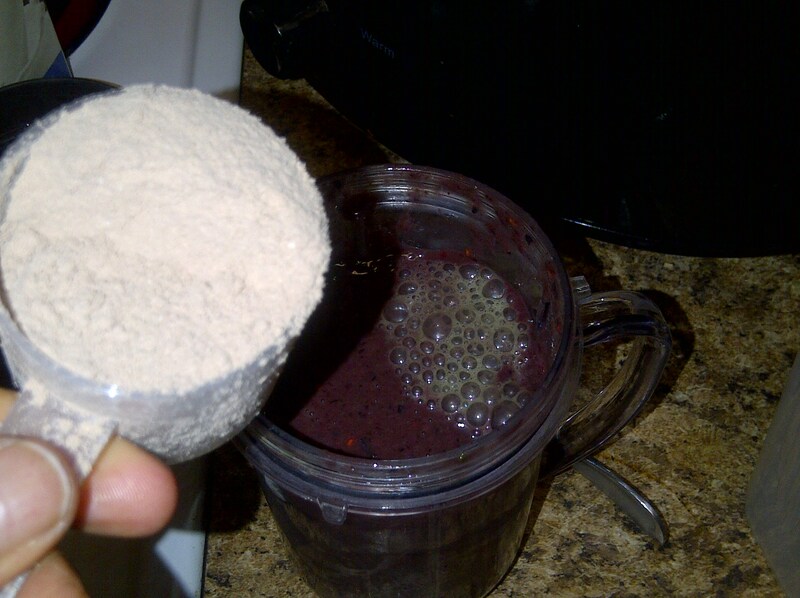 Finally, add in one scoop of whey protein powder and blend with the mix. 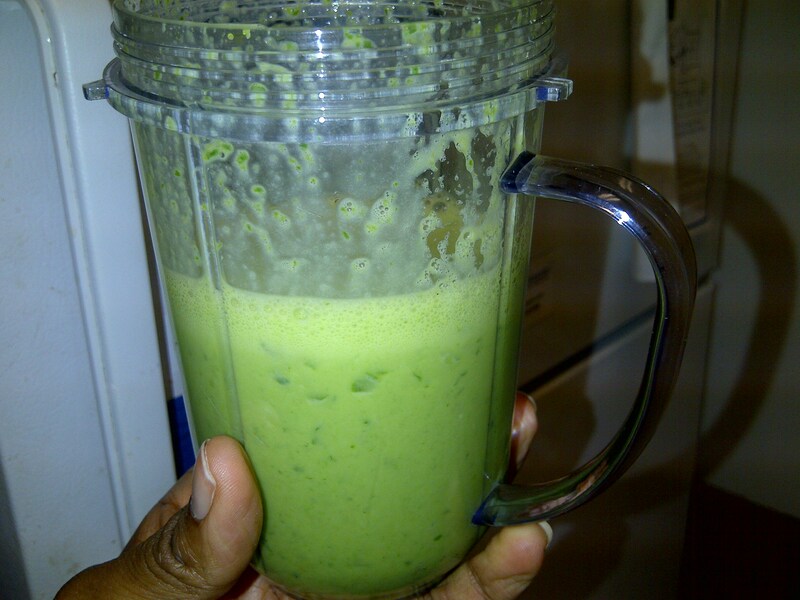 The protein powder will ensure that you are getting enough protein with your meal. 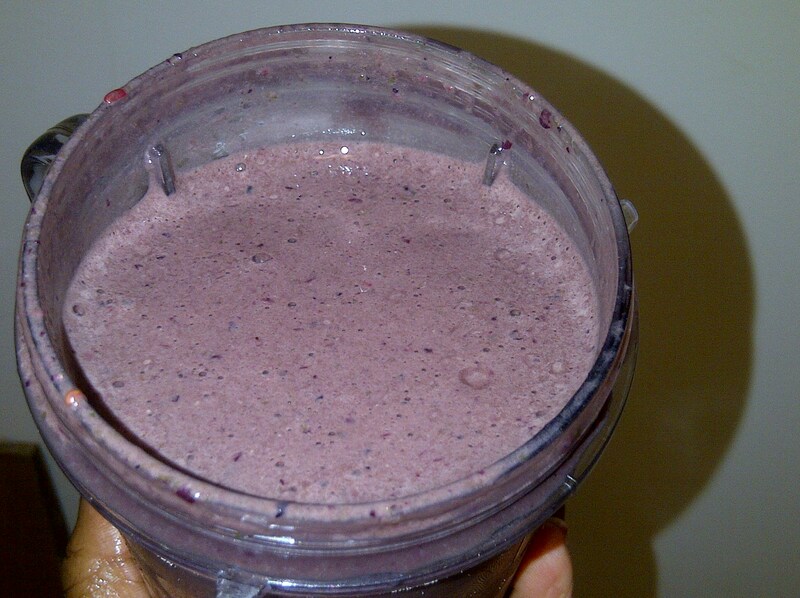 You can also use casein if you want a very thick shake…it will come out like a pudding. If you plan to use peanut butter, add that in last and blend one last time. This meal will leave you satisfied…it gives you a full feeling. Great to make in the morning and take to work for an afternoon snack or you can put it in popsicle holders and freeze for later.